The Netherlands is part of mainland Europe, it sits in Western Europe with an extensive coastline to the North Sea and shares land borders with Germany and Belgium. The Netherlands is also known as Holland and was the first non-native English speaking country to offer courses taught in English to international students. Now almost all courses offered to international students are taught in English and Dutch, which is great if you’re planning on studying in the Netherlands. Study in Netherlands is similar to other popular study abroad destinations in terms of duration Bachelor’s Degree (BA, BSc, BEng): 3-4 YearsMaster’s Degree (MA, MSc, MEng): 1-2 Years and PhD: 4 Years . The higher education system in the Netherlands is made up primarily of three different types of institution, each with a unique offering to an international student. 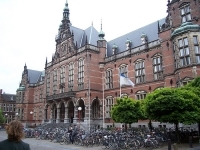 These are Research Universities, Universities of Applied Science and Institutes for International Education.Certain degrees levels are only available from each institution type like , Bachelors are available at Available at Research Universities and Universities of Applied Sciences , Masters are Available at all Institution types , PhDs are Available only at Research UniversitiesThe Netherlands is an established and revered seat of higher education with 4 universities in the QS Top 100 Universities 2010/11, those institutions are University of Amsterdam, Leiden University, Utrecht University and Erasmus University Rotterdam. As most courses and degrees run for more than one year most international students will require an entry visa called a Provisional Residence Permit or Machtiging tot Voorlopig Verblijf (MVV) in Dutch. Your MVV will allow you entry into the country for a six-month period and once in the country you will need to apply for a Residence Permit – your chosen University should do this on your behalf. A level of competence with the English language is required before you can study at degree level in Holland as with other destinations, this will need to be proven when applying for your course by showing the results of an accepted English Language test. You will require a score no lower than 6.0 IELTS or TOEFL 550 (Paper Based), 213 (Computer Based). Other language tests may be accepted so please check with your chosen institution.Higher education in the Netherlands is subsidised by the government and helps to keep tuition costs below that of the main study abroad destinations - USA, Australia and the UK. The qualifications will boost you career prospects as well as show you as an ‘out-of-the-box’ thinker for choosing a less well-known destination. The Dutch are a welcoming nation of open minded and tolerant people and you will find a very diverse culture in most cities and their Universities. There is a lot to do and see in the country, some of which is described in the “About the Netherlands” section to the right. The country offers excellent transport links to other European countries which gives you the option of travelling and sight-seeing in other popular destinations such as France and Germany at a low cost during your time there.The currency in the Netherlands is the Euro (€). The expected cost of living is approximately €800-1,100 a month for a student lifestyle. • 1/3 on transport, leisure and study materials. Scholarships and Grants are available for a variety of courses and student nationalities, Nuffic maintain a database of these that you can search.Dependent on your nationality, working while studying for a limited number of hours is allowed. Your employer will have to apply for a work permit on your behalf and you should not assume there will be a job available as part of your budgeting.